It’s not often you hear about green race car drivers, but Leilani Munter is an eco-activist and vegetarian. She has also been to Taiji three times to document the slaughter of dolphins at the cove, and this month she’ll be representing the dolphins in a very special car. Recently, Munter helped Ric O’Barry and John Leguizamo light the Empire State Building in bright red for the dolphins of Taiji. 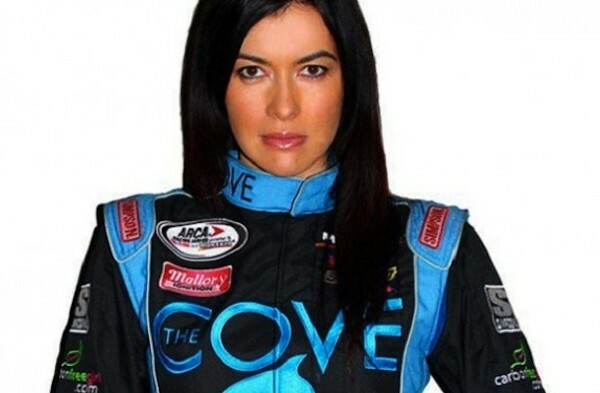 From New York, to Daytona now, Munter’s campaign to raise funds for a ‘The Cove’-themed race car has been a success. The birthday girl will be joined by O’Barry and Psihoyos who will be giving out 1000 DVDs of ‘The Cove.’ Munter wants all to know that the car is shared with all of their supporters. “This is not just my race car, this is a race car that belongs to everyone who helped make it happen: all the people who have sent in donations from all over the world, all the dolphin lovers who helped spread the word – I truly feel that this is OUR race car and that is a huge responsibility I have to you all. I know I will have the souls of the dolphins in Taiji and the hearts of all the ocean lovers pushing my race car towards that checkered flag!” she writes. We’ll be rooting for you (and the dolphins), Leilani!